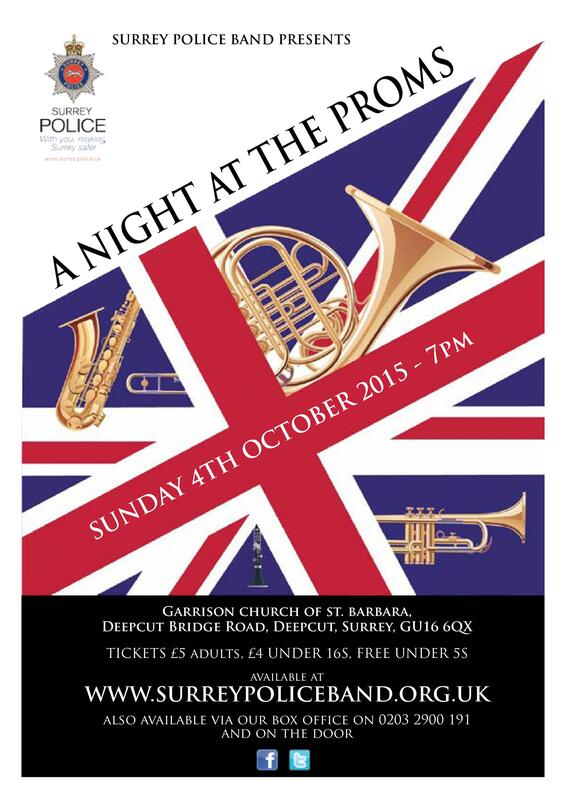 After a short summer break, we are back with a vengeance on Sunday 4th October with our ‘Night at the Proms’ concert! Bringing you all your traditional favourites, including Pomp & Circumstance, British Sea Songs, Jerusalem, and many, many more, we’ll have our infamous spread of home made cakes on offer during the interval. Join us for a 7pm start at St Barbara’s Church, Deepcut Bridge Road, Deepcut, Surrey, GU16 6QX for an evening of flag waving, pomp and patriotism! Proceeds will be split between The Children’s Trust, the UK’s leading charity for children with brain injury, and Shooting Star Chase, a leading children’s hospice charity caring for babies, children and young people with life-limiting conditions, and their families. Tickets are just £5 for adults, £4 for under 16s and free for under 5s, and are available online here. Tickets will also be available on the door.